Laser Cutting is one of our specialties. We have 3 lasers available for quick turnaround. We can help with the engineering drawings, or you can send yours to expedite the laser cutting process. Stainless or Carbon Steel, we have a variety of thicknesses available for your laser cutting needs. We take pride in being on the “cutting edge”! 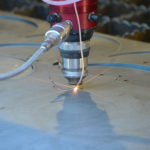 Fabrication is a perfect complement to our laser cutting capabilities. No quantity is too large or too small. Metal Forming and Fabrication are easy for us! 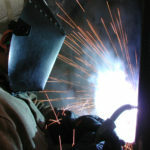 Our equipment includes multiple break presses, punch presses, and welders. Powder coating is available at our sister division Angola Wire Products. It would be great if everything would stay new but that just doesn’t happen. When that drive shaft or snow plow breaks when you need it the most, we can fix it. If it costs too much to replace, we can make those repairs to get you going again in a flash. Our commitment to providing you with the highest level of service is vital to yours as well as our success. Custom laser cutting and manufacturing is what we do. Here at AWMR, we promise to never take unfair advantage of someone who needs our services. We pride ourselves on our honesty and integrity and because of that many of our customers have been with us for a long time. We are sure that you will be too! A.W. 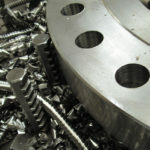 Manufacturing and Repair is a “State of the Art” manufacturer of precision metal products. We service both prototype and production customers in a wide variety of markets. Using our three laser cutters as well as our other manufacturing equipment, we can take your requirements from start to finish. Located in Northeast Indiana, we are centrally located so you can get to us fast! A.W. Manufacturing and Repair’s objective is to produce precision laser cut and fabricated steel products to your specifications. Our goal is to provide high quality custom products at a competitive price, delivered on time to achieve complete customer satisfaction.